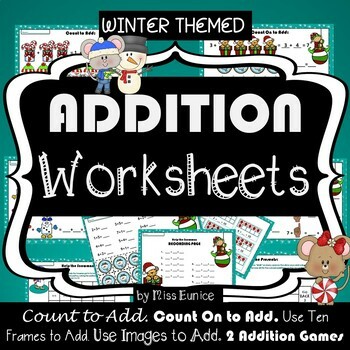 In this product you will find a set of worksheets that will ask your kids to practice their addition skills in a fun way. THIS IS A COLOR VERSION. The BLACK&WHITE version is available here. Your feedback is very important to me so please don't hesitate to tell me what you think about my work! Also, if you have any questions or dissatisfaction regarding this product please contact me before rating it. I will fix any possible inconvenience. I am always trying to improve my work (eunice.vrajitor@gmail.com).